When disasters come roaring into our lives, loss follows. The loss can be material possessions: our home, vehicles, household belongings, income, photos, and keepsakes. Even more devastating, the loss can involve loved ones. We must have an understanding of these inner responses, if we are to minister to those seeking to recover from the devastation of disasters. 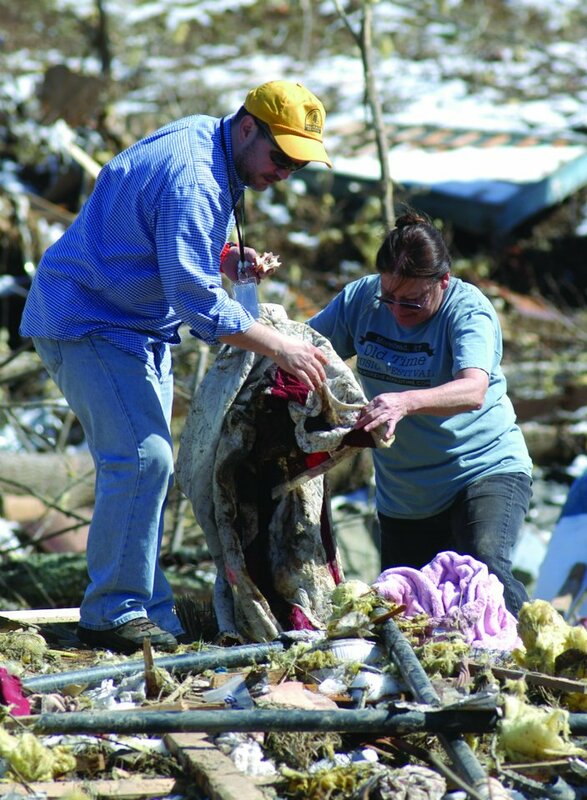 Loss: It is vital that the relief volunteer understands that the sense of hurt won’t be magically wiped away. A spiritual experience will not take away the loss that victims have experienced. Intrusion: Devastated by disasters, victims are often forced to trust strangers for the most basic of necessities such as food, water, shelter, and medical care. It is important to offer love and support that enables the person to feel valued and respected as a person. Vulnerability: Often victims of disaster feel abandoned, forgotten, overwhelmed, angry, depressed, and hopeless. Survivors feel extremely vulnerable, and it is important for a volunteer to avoid any behavior that even hints at manipulation. Escape: Recovery after disasters can take months and years. The pain of survivors is very real and should not be glossed over. We must always avoid offering the Gospel as a magic cure for the loss suffered by victims, or as a panacea that overlooks the real concerns that they are facing. • Listen to their story. • Assist them in any capacity that you are competent in or that you have been trained to respond. • Assure the victims that you are there to help without any expectation of compensation. • Demonstrate genuine concern for the person. • Be cautious in promises and be sure to fulfill all promises made. • Avoid using manipulative actions or words. • Realize that unbelievers may not act or behave like followers of Christ. Our witness needs to be positive and avoid actions or words that seem judgmental or condemning. • Share openly the reason why you seek to help. • Be prepared to share your faith story. • Be ready to walk them through plan of salvation, if God’s Holy Spirit opens the opportunity. • Allow time for questions, conversation, and the possibility of follow-up by you or someone else in your church. • Pray with them. This is always appropriate!